td2013 and RushMan like this. Hmmmm... Interesting. I am undecided if I like them or not. Do they attach with double sided tape? Are these the ones from the Ford Accessory store? 2017 Titanium 2.0L Eco-boost, FWD, Magnetic color with Sports Appearance Package and Navigation. Yes. *plus adhesive and a push in anchor. is this just for the 2017 escapes? i quite like these. The installation instructions are copyright 2014 and my Escape is a 2016 so you will have to check with Ford for your 2013. I was thinking about these but undecided since I haven't seen them from an angle where I can see the entire vehicle. Every picture I've googled shows up close pictures like the OP's. 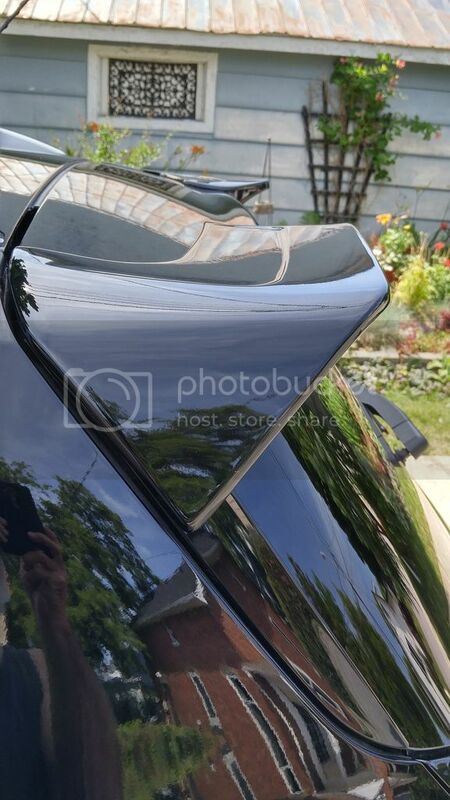 Would it be possible for you post pictures of the side view that shows the entire vehicle? 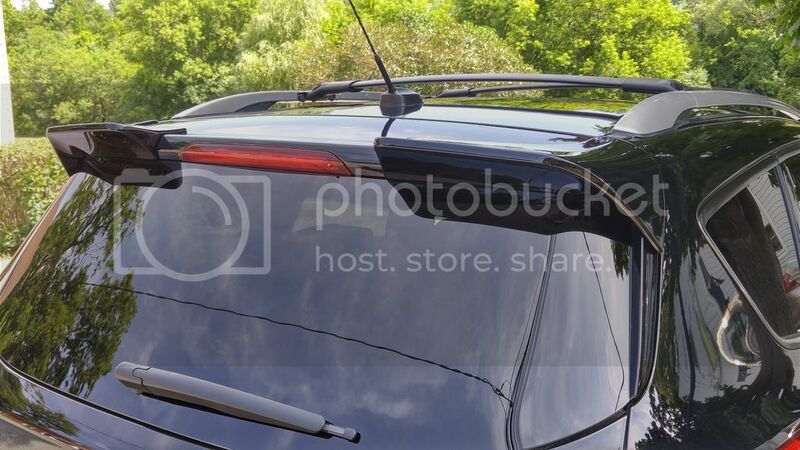 The only pictures I've seen of the entire vehicle look to be of a different spoiler (not sure if it's an OEM Ford accessory or not) that runs across the entire back of the lift gate (kind of like the Ford Edge). I think the one that runs across the entire back might block the 3rd brake light a bit too much though, maybe this is why they did the split look. What has me on the fence about these is the split look. Naturally, Ford's version is two pieces to allow full visibility of the OEM brake light. What I don't get is why it's more than double the price of one-piece versions that come painted and Ford's is unfinished.